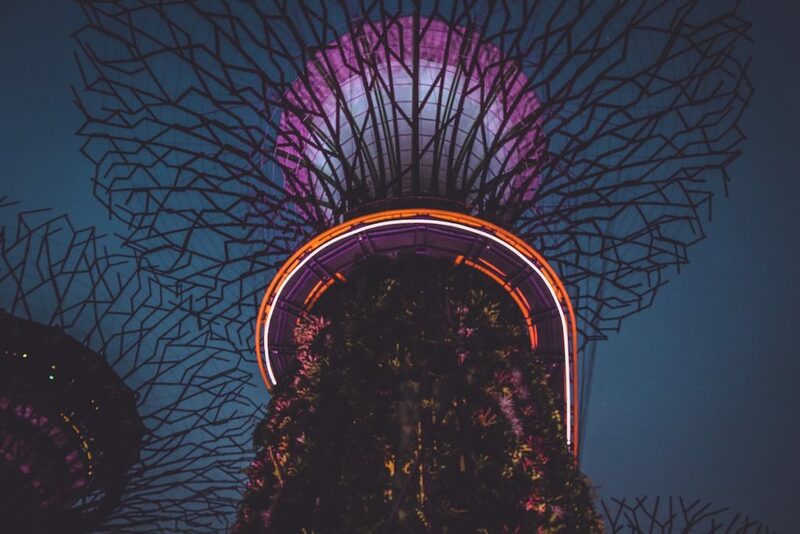 Featured image of Victor Garcia in Unsplash. This is the third and final post on how to configure the Yoast plugin to get the most out of it. Previously I explained first the importance of On-page SEO and how to configure Yoast SEO with its wizard and then, the details of how to configure each of the features you have available in the General and Search Appearance options in the Yoast SEO plugin. In this post we’ll see how you should setup the features you find in the Search Console, Social, Tools and Premium menu options from Yoast SEO. And finally, I’ll tell you something closely related to Yoast SEO: the Accelerated Mobile Pages or AMP. 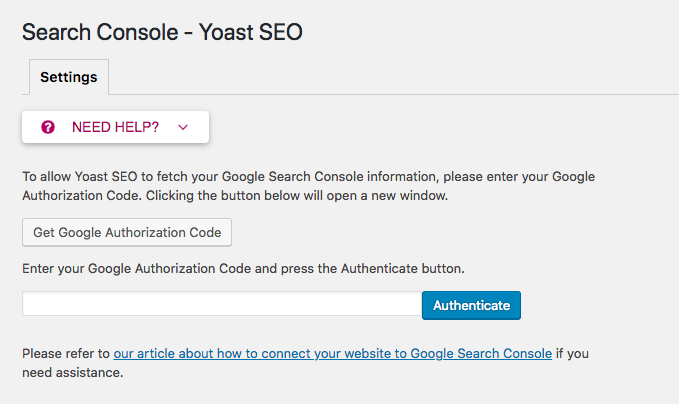 If you have a Google account, you can connect your Google Search Console account to the Yoast SEO plugin. As you may already know, Search Console is a set of free features offered by Google with which you can optimize, analyze, and check the status of your website or blog in Google search results. If you want more information about Google’s search console I recommend the Google Search Console Definitive Guide by Brian Dean. Basically, what the plugin does here is to show you the same information you can find directly in Google. 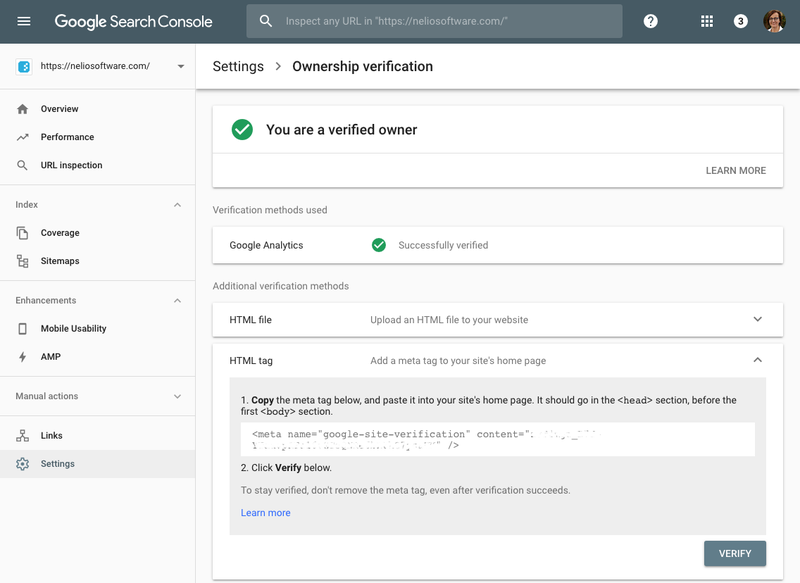 To connect the Search Console (I assume you’ve already added your website to the Search Console in your Google Account) with the plugin, go to the Settings tab and click the Get Google Authorization Code button. 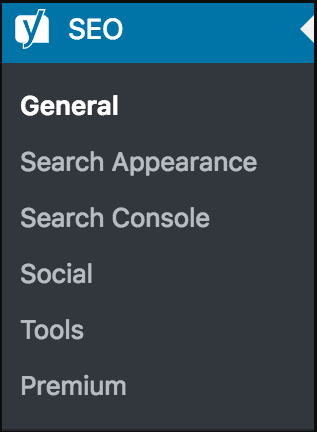 Settings tab of the Yoast SEO Search Console option. It will give you the code you have to enter in the next field. Then click on Authenticate. The authentication code can also be found directly in the Settings » Ownership verification of Search Console, in the HTML tag tab. Verification code of the Google Search Console. As you can see, here at the Yoast dashboard it’s not like you’re going to have additional information to what Google already provides. It’s just a question of whether you prefer to have this information in your own WordPress or in the Google console. As you can see in the following image, we have 5 tabs: Accounts, Facebook, Twitter, Pinterest, and Google+. 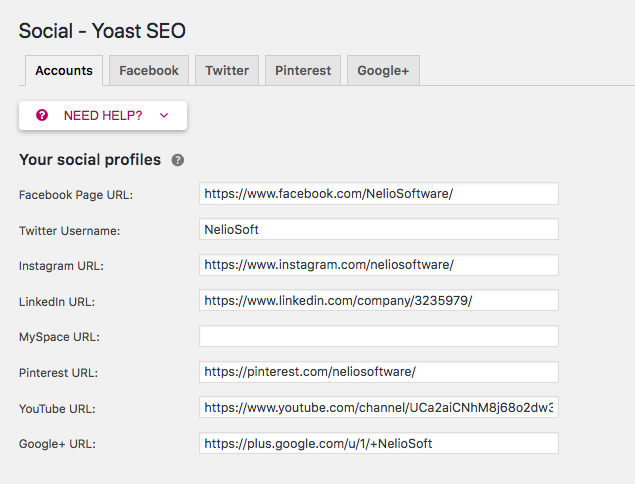 Add the URLs of your social profiles to the Yoast SEO plugin. Here you just have to copy and paste the URLs of your accounts and save. Note that in the case of Twitter, you shouldn’t include the @ character. This way in the code of your page you will already be informing Google of the social accounts with which it is related. Next we have the Facebook tab. Facebook tab of the Yoast SEO Social menu option. Previously in this blog we already discussed what the Open Graph Facebook meta tags are and what they are used for. Basically, these are tags used by the social network to create the rich graphic object you see when a certain URL is shared on said network. If you enable the addition of Open Graph meta data in the Yoast SEO plugin, then Yoast will make sure those tags are included in all the content of your website. 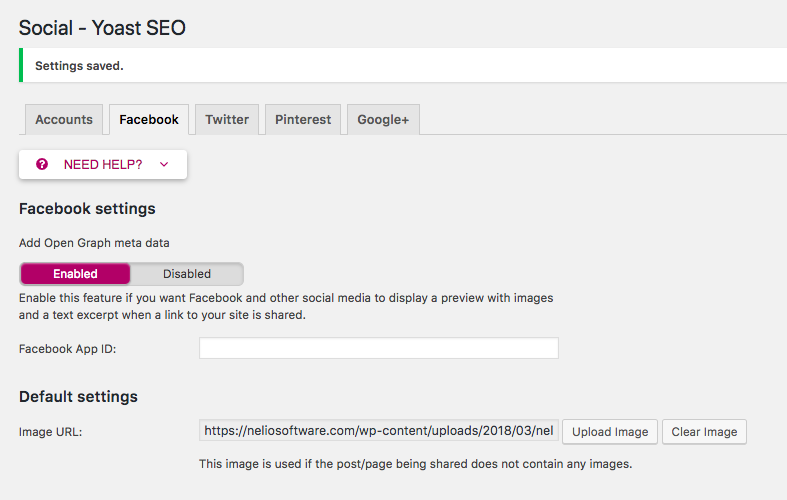 What’s interesting about this plugin is that Yoast SEO allows you to customize the Open Graph Facebook meta tags (and others), so that you can decide how you want your content to be shared on Facebook and other social networks. Customize how a post is displayed when posted on Facebook. Now, back to the Facebook settings tab, the only relevant setting you have to keep configure is the default Facebook Image. This is the image that will be used in Facebook when someone shares a post from your blog that doesn’t have a featured image set. Similarly, we have a Twitter tab. 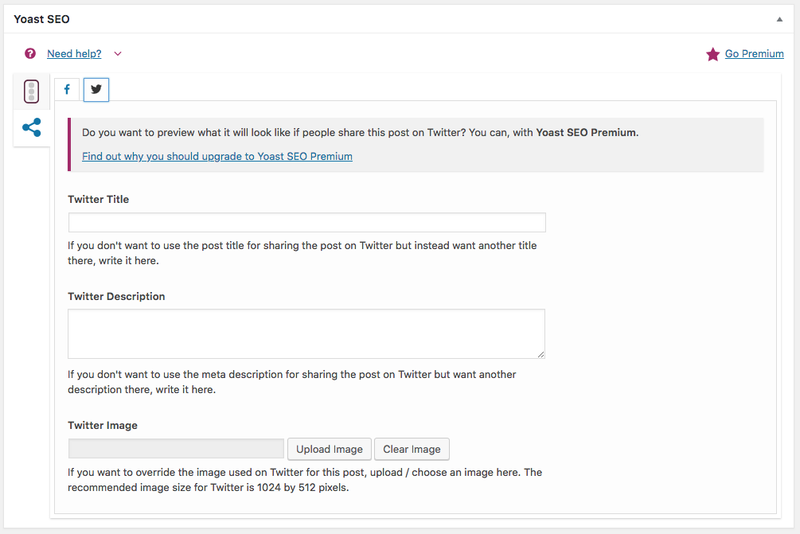 Twitter configuration in Yoast SEO plugin. If you want to use Twitter cards, just enable the option and you’ll be able to tweak how your posts look like in Twitter. Also notice that you can indicate the default type of card to use. Although the default is only Summary, I recommend that you select Summary with large image and your Twitter cards will look better. From now on, when you edit your post you can also customize its display on Twitter. Customize how you want your post to look when posted on Twitter. If you have an account on Pinterest and/or Google+ and you’ve already entered its URL in accounts, you don’t have to do anything else. If not, add the information from these social networks and that’s it. Now let’s go to Yoast’s fifth menu option: Tools. Configuration of tools in Yoast SEO. As you can see in the image above, Yoast SEO includes some tools that, although they are not essential for you to optimize the SEO of your website, they can be useful to be more efficient in some cases. If you click on the Import and Export link, a new window appears with three tabs: Import Settings, Export Settings, and Import from other SEO plugins. This can be useful if you are involved in maintaining the SEO of more than one website because it allows you to save your plugin settings, export them to a zip file that you can then import to another website so you do not have to make all those settings from zero on each website. Then, you can start with your master configuration in each new site and then customize it. The File editor allows you to create and modify some files of your WordPress installation that have an impact on the SEO such asrobots.txt that allows the access or not of bots to certain parts of our website. You can also limit (or block) the bots that will be able to access your contents. My recommendation is that you do not edit these files from the Yoast SEO plugin and do so from an FTP client. The Bulk editor, as its name suggests, allows you to make bulk changes. 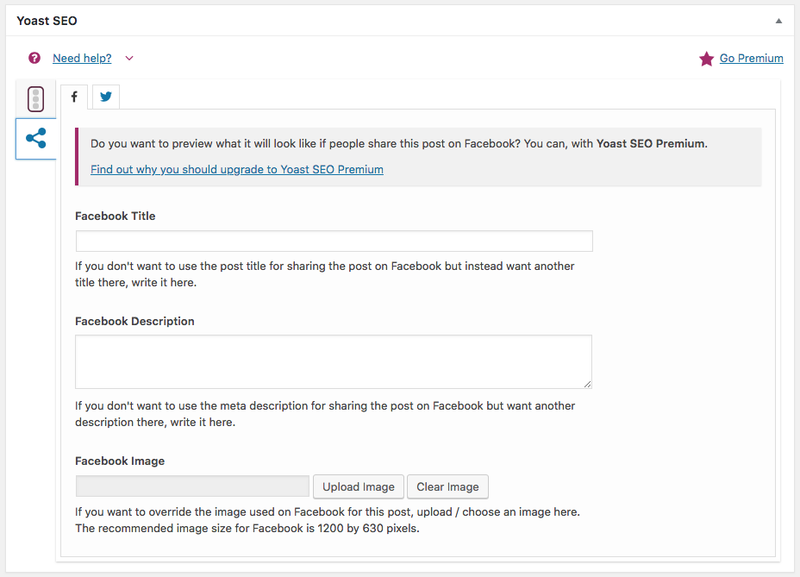 In the Title tab, you can change the snippet title (in the column, New Yoast SEO Title) of all your posts quickly. 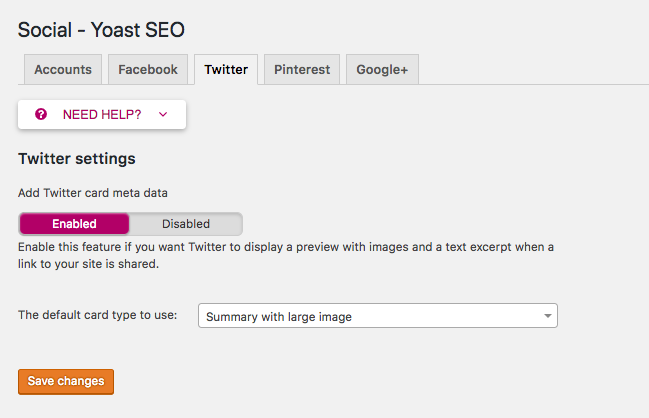 Bulk editor for titles in the Yoast SEO plugin. Finally, you have the external link counter. As you may already know, external links can help give more credibility to a post, so don’t forget to enable the option and make sure you include high quality external links to improve your SEO. As I already told you at the beginning of this post, if we talk about SEO we cannot leave aside the Accelerated Mobile Pages or AMP. AMP is an open source initiative promoted by Google together with other technology partners with the aim of improving the loading speed of mobile websites. Through the use of AMP HTML, AMP JS, and the use of caches, the aim is to offer pages of simpler design but optimized to give an agile response in mobiles. Google values and rewards that you give an optimal service to all visitors to your website, so if something is key to the SEO of your website is that you have an AMP version for your posts. The AMP plugin for WordPress allows you to generate a basic AMP version of all your posts. If you look at the developers and collaborators of this plugin, you will see Automattic and Google among others. After installing it, you only have to tell it what kind of content you want to generate an AMP version and that’s it. 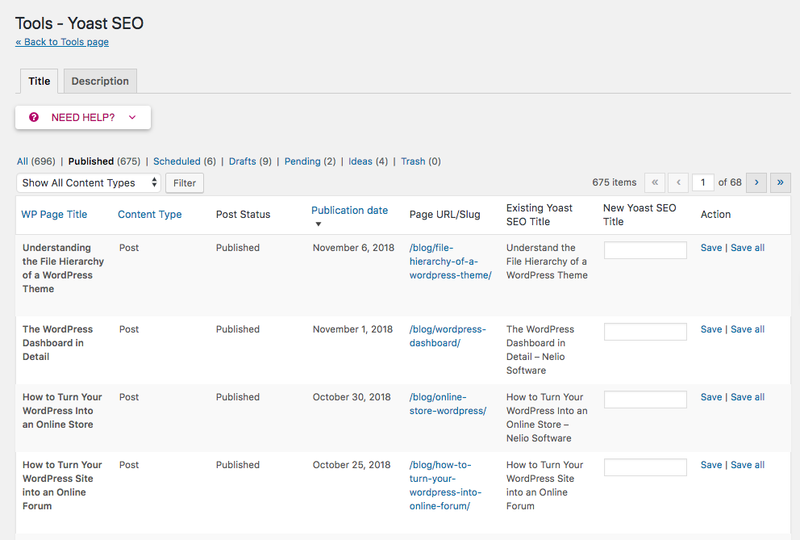 For example, we have an AMP version of all our blog posts, so you can read the AMP version of this post that you are now reading at https://neliosoftware.com/blog/the-perfect-yoast-seo-setup-for-wordpress-iii/amp/. As this type of pages are key for SEO but do not have to be ruled by the same criteria as the rest of your web pages, Yoast SEO has a plugin, Yoast SEO AMP glue plugin to integrate Yoast SEO in your AMP pages and that the meta data is implemented correctly. How to configure Yoast SEO AMP glue plugin? After installing it, you’ll see that there’s a new menu item in Yoast called AMP. In the related settings screen you’ll find three configuration tabs: Post types, Design, and Analytics. Post types configuration of AMP in Yoast SEO. In the Post types tab, you only have to indicate for which AMP content types you want to have Yoast SEO support. Notice that Yoast’s setup depends on the setup you have in AMP. 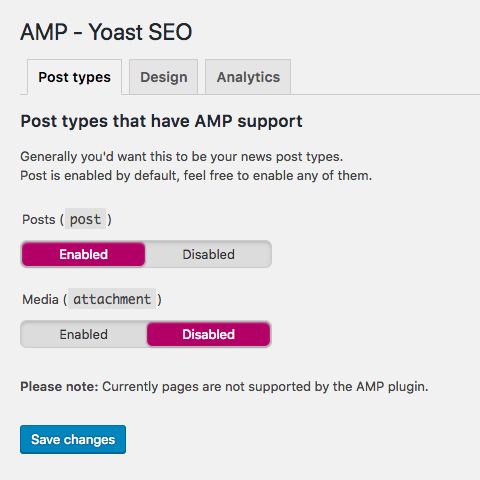 For instance, if AMP is only enabled on posts but not pages, you’ll be only able to enable AMP Yoast SEO on posts and media attachments only. In the Design tab, you can add an AMP icon, a default image for posts that don’t have an image, and additional information related to how you want AMP posts to look like. And in the last tab you can also add a Google Analytics code to have here in your WordPress the information about the analytics of the AMP posts. And here’s the complete guide to how you should set up the Yoast SEO plugin to optimize the SEO of your website. Remember that, although you may find it a bit cumbersome, setting up the Yoast SEO plugin should only be done once and enjoy all its advantages. Featured image Victor Garcia in Unsplash.